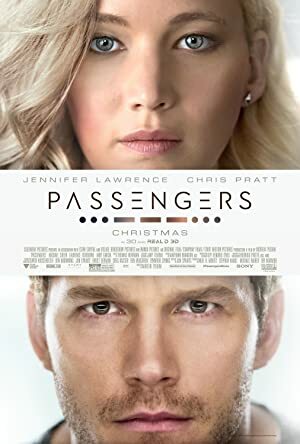 Passengers (2016) – What's New on Netflix Canada Today! The spaceship, Starship Avalon, in its 120-year voyage to a distant colony planet known as the “Homestead Colony” and transporting 5,258 people has a malfunction in one of its sleep chambers. As a result one hibernation pod opens prematurely and the one person that awakes, Jim Preston (Chris Pratt) is stranded on the spaceship, still 90 years from his destination. After waking from his hibernation decades ahead of schedule, a lonely passenger on an interplanetary journey decides to rouse a fellow traveler.